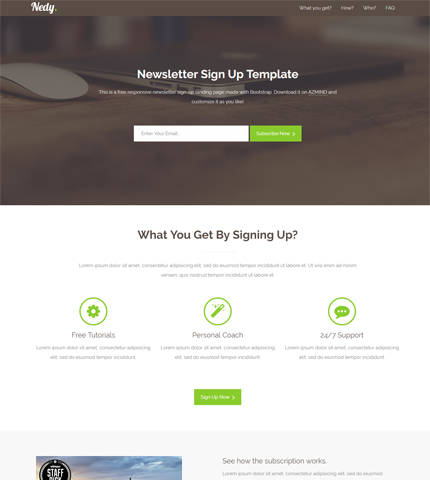 Today’s freebie is a new Bootstrap template called Nedy and it’s a newsletter sign up landing page that you can use to present or test a product or service, collecting the email addresses of interested clients. 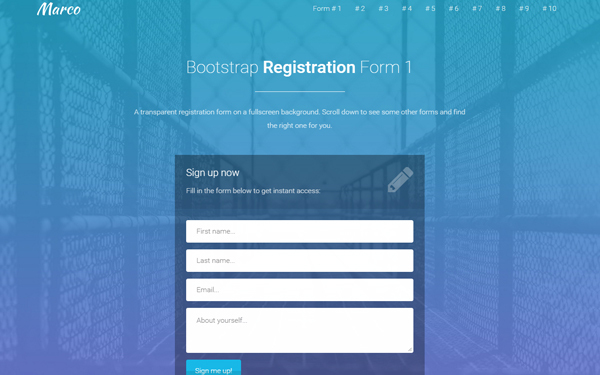 As you might remember, a few days ago, I released this registration landing page and today’s template is very similar to it, the only changes are the subscription form, some small details and the colors. 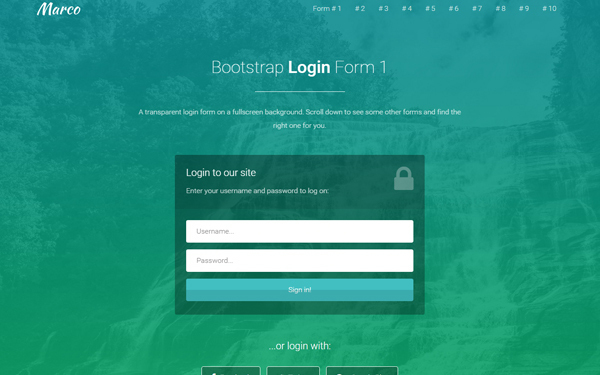 Nedy comes with a responsive layout, modern and clean design, fullscreen backgrounds, working AJAX email subscription form, CSS3 animations, Font Awesome icons, testimonials section, video section, etc. Below you’ll find the full list of Nedy’s features, the live preview link and the download link. Enjoy! Working AJAX Email Subscription Form (you receive the subscribers in your email address). Want to use it with MailChimp? Learn how to integrate it with this tutorial. Or get the ready-to-use version with the Marco template.